Comfort food that is good for you? Yup it’s one of those type of recipes. I’m often recommended people eat more pulses and there seems to be a lack of knowledge about good ways to eat more of them. So if that is you…. here you go, a yummy recipe that makes lentils attractive to the family. 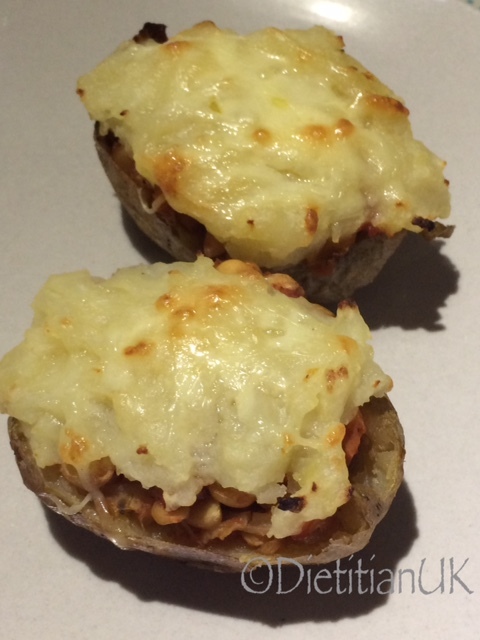 These are vegetarian, wheat free and packed with the protein power of lentils plus plenty of fibre from the veggies. lentils and skins of the potatoes. The lentils also provide zinc, iron, B vitamins and folate. They will also lower the glycemic index of this meal, so you should feel fuller for longer and have better glycaemic control. Pretty much a winning dish. Trust me, my family looked at dinner and went “Oooooo that looks good mummy”. I love a jacket spud but sometimes you just want to go one better, but keep it healthy. Not so much a wow factor but a warm glow factor. This recipe uses an adaptation of my lentil bolognaise recipe, one of those recipes that you want to make double or quadruple of and freeze as it is so versatile. 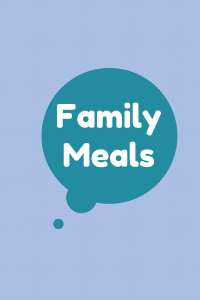 Vegetarian, wheat free and an all round healthy family meal. Wash, scrub and prick 4 medium potatoes. Put in the microwave for 10 minutes on high. Turn the oven to Gas Mark 5. Meanwhile: Grate/finely chop the veggies or even easier - put it in a food processor and blitz it to fine pieces. Heat the oil, pop the veggies in the pan and cook for a few minutes. Add the lentils and cook for a few minutes. Now add the chopped tomatoes, water and bring to a simmer. Add the remaining ingredients and cook for 40 minutes. Whilst it cooks, put the potatoes in the oven to continue baking. Once the potatoes are done (30 minutes or so), test them inserting a knife into them. Then cut in half and allow to cool and allow the lentil mixture to cool too. Scoop out the inside of the potatoes with a spoon, place the flesh in a bowl and mash with a little butter and milk. 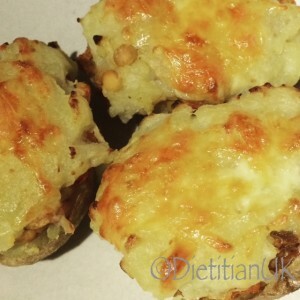 Fill the potatoes with the lentil mixture and place on a baking tray. Top with the mash and use a fork to spread it over. Sprinkle over the cheese. You can now leave the potatoes in the fridge until later or bake straight away at Gas Mark 5 for 20 minutes or until the cheese is melted. Keep any left over lentil mix for the freezer or serve it on the side for hungry tummies. So what do you do when you’ve been building up all day to a vegetable lasagne and then you realise you are out of wheat free lasagne sheets? 2. Make your own lasagne? 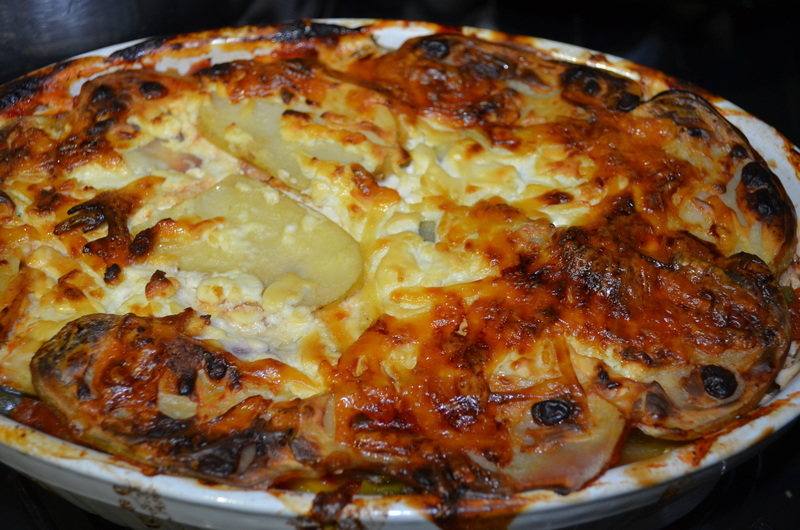 Today I was feeling a bit more inventive, plus I had a tonne of potatoes to use up… so option 3 it was. This worked really well, it took longer to cook as I wanted the potatoes to definitely be on the softer side, but you could parboil them to help speed up the cooking time. My cottage cheese white sauce is a big hit.Healthier, quicker to make and lighter on the stomach and palate too, it takes lasagne from a “weekend meal” to an “everyday meal”. My family are happy. Someone suggested this was more of a moussaka, I’m not sure. I’m going with lasagne as that is what I based it on. Call it what you like. It’s delicious. 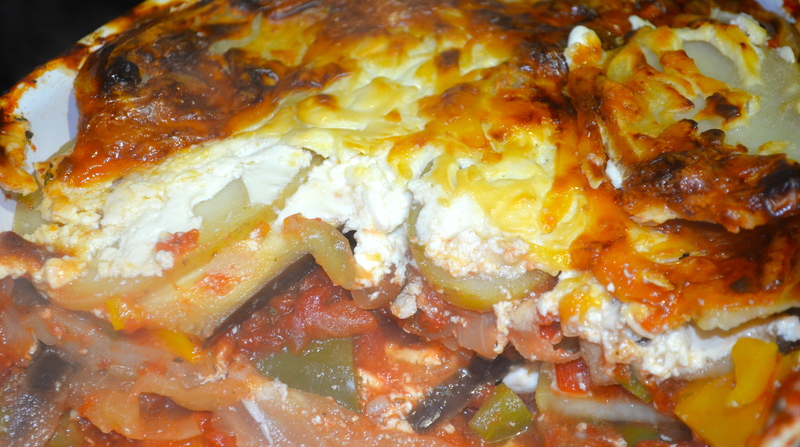 A healthy take on a vegetable lasagne using cottage cheese to make the white sauce and potato instead of lasagne sheets. Grain free, gluten free. Chop the onion and crush the garlic, then saute in the pan. Now add the peppers, carrot and courgettes, cook for a couple of minutes before adding the chopped tomatoes and wine. Bring to a simmer and add the pepper, balsamic, herbs and sugar. All to simmer gently whilst you prepare the rest of the dish. Slice the aubergine and potatoes lengthways into thin slices. You could now parboil the potatoes to speed up the cooking time in the oven. Mix the cottage cheese with the yoghurt to get a thinner consistency. Now comes the fun…. in an overproof dish layer up the lasagne. Start with the tomato and vegetables base, top with aubergine slices, then potato and the white sauce. Repeat the layers one more time, ending with the white sauce on the top. Sprinkle with grated cheese and bake in the oven as Gas Mark 5 for 45-60 minutes. Test the potatoes are cooked by prodding with a skewer. How to make a GOOD Salmon and Broccoli Risotto. So it is fair to say we eat a lot of risotto in our house. It’s wheat free so I can eat it, it is easy to cook with small people “helping you” and my family literally devour it. If you don’t finish your portion quick someone else will ask for it “More, More”. The first few times I cooked risotto it was a disaster. A plate of overcooked rice with peas and cheese on top. As a student I didn’t think it was too bad a meal, however looking back it makes me wince. I now know where I went wrong – I used the wrong ingredients. Partially due to being on a budget but mainly because I didn’t know any better. A good risotto needs the right ingredients and a bit of love. You don’t need to spend a fortune, in fact I have a top tip below on how to save pennies! Firstly if you are using rice for risotto, use the right kind. Your normal easy cook/basmati/long grain will not cut the mustard here. Get risotto rice. It may cost a bit more, but I buy a few packs when it is on offer and I also use pearl barley to reduce the cost. Secondly use a good stock. This is vital for it to taste good. If you can get away from that salty stock cube and make your own. Each time we roast a chicken I make stock which then goes in the freezer for risotto’s. Thirdly find a spoon you like to stir with and make sure you pop back and stir it regularly. It will help you see when it is ready and usually makes me remember to add all the extra flavours in. 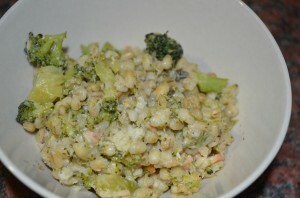 This risotto was made with all pearl barley. 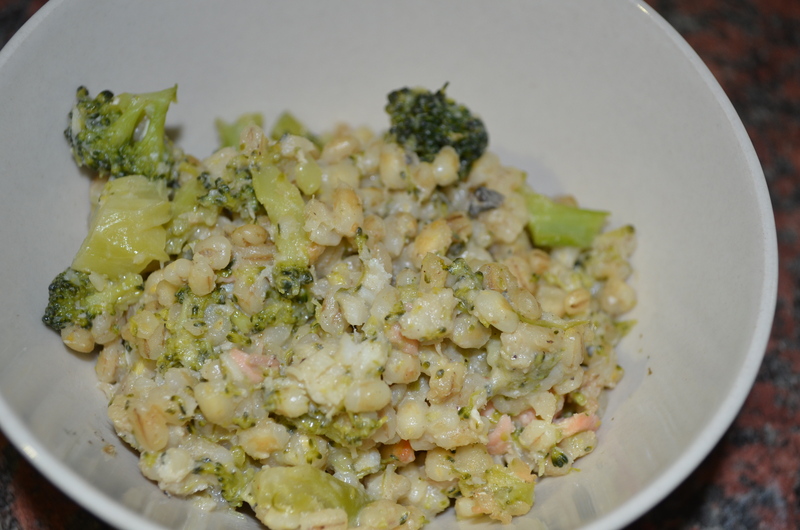 I sometimes mix risotto rice and pearl barley which adds wholegrains in, brings in a nutty texture and brings down the cost all in one go. Heat the olive oil and stir in the pearl barley. Leave to cook for a few minutes. Add the wine, stir and let it absorb. Meanwhile chop the broccoli into small pieces. Now add the broccoli to the pan and stir in. Gradually add a bit of the stock at a time, stirring regularly and letting the barley absorb the stock. Add the stilton and let this melt in. After 10 minutes add the salmon, chopped into small cubes. When the stock is finished add a little milk to give it more creaminess. You could use cream here but I don't personally. Whilst it is all cooking add the lemon juice, nutmeg, black pepper and parsley - stir some more. It’s a new year and I’m trying out new meals. This is one recipe idea I’ve had scribbled down in my ideas book for ages, but I’ve not had the guts to try it out on the family. Now my lot are good at trying new things and generally I’m pretty lucky as they eat most things. But I wasn’t convinced that they would see this as a hit. 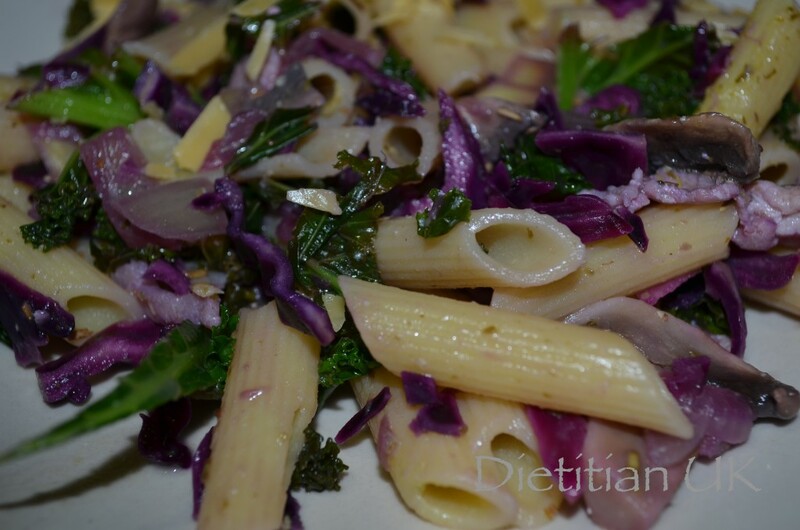 Pasta, yes, bacon, yes… but kale and red cabbage too? I went for it as we had all the right ingredients just waiting to be used up. However I was very pleased I went with it. It was an all round hit. Everyone had seconds. Maybe I should grow kale this year. Miss K: “Mummy I love it, love it”. 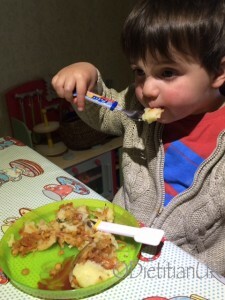 Toddler boy: banging his bowl asking for more – admittedly he wanted the pasta more than the kale. This is a fresh tasting, zingy pasta dish, with crunch from the kale and a hit of saltiness from the bacon and the cheese. 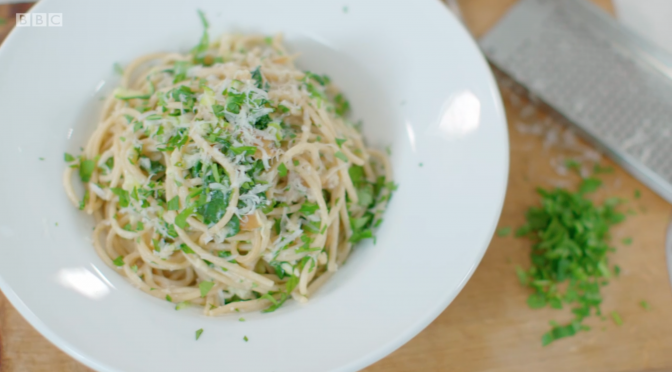 A fresh, zingy, crunchy pasta dish packed full of antioxidants and vitamins K, A and C.
Heat the oil in a pan, add the chopped bacon and cook for a few minutes along with the onion. Now turn down the heat and add the kale, along with a splash of water if needed. Cook gently for 10 minutes, meanwhile cook the pasta. Add the garlic, rosemary and optional chilli to the kale. Strain the cooked pasta, adding a spoon of the water to the kale. 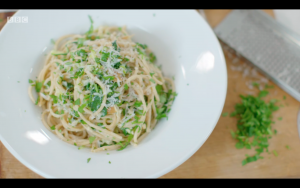 Mix the pasta into the kale and add the lemon juice. Serve topped with grated hard cheese. I love cooking. The kitchen is the place I relax, I create and I have fun. However when you are juggling too much, busy busy busy and have small people cooking the family meal can become a chore, even for me. I run 2 businesses around 2 small ones, my days start early, end late and are a mix of pilates, dietitian work and being a mummy. Which means I don’t tend to have the luxury of spending hours cooking each day. Meal Planning really does work. We have a whiteboard in our kitchen and I plan out our evening meals and some of our lunches too. Keep a recipe book or file with the recipes you and your family love. This makes it easy to plan and quick to find that recipe that suddenly springs to mind. Use your meal plan to shop and prepare in advance. When you have a quieter day chop up some veggies in advance for example, or boil a pile of eggs for lunches, make hummus or cook a meal to get ahead. Cook in bulk when you can. If you are doing a casserole, chilli, bolognaise, soup or freezable meal cook double and freeze it. This saves me on a regular basis on days things go wrong and I realise I’ve no time to cook! 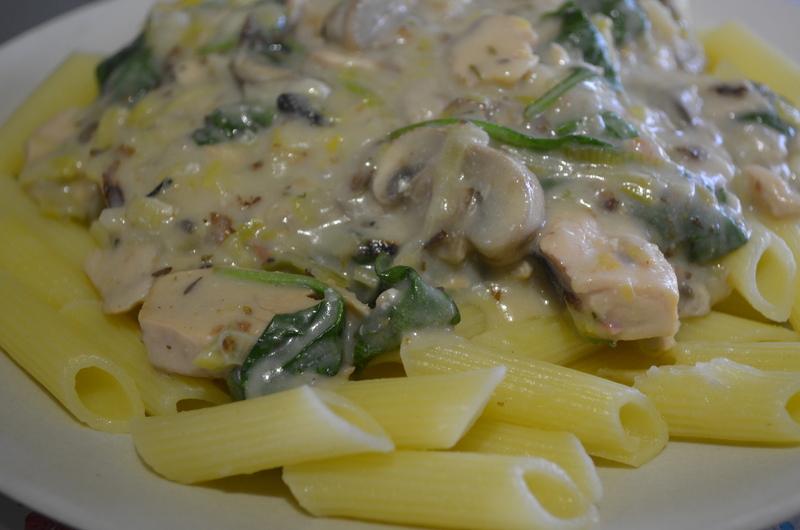 You don’t have to wait until dinner time to cook. I often end up cooking our evening meal in the morning, as that’s when I have a gap in my day. It can be quite satisfying knowing dinner is already cooked! Embrace the slow cooker love. The beauty of this is you can prep it the night before and keep it in the fridge, then switch it on in the morning and by evening you have a cooked meal, often with leftovers to freeze. See my slow cooker recipes or my pinterest board with over 50 ideas. Have a day a week you use up the leftovers. Put them on a pizza, add to pasta, put veggies in a frittata or stir fry… it may not be a standard recipe but it can save you time, money and is inventive! See Love Food, Hate Waste for top tips and recipes. Have some emergency meals in your stores. Baked potatoes can be cooked in the microwave in 10 minutes, add tuna and sweetcorn with some chopped veggies and you have a meal. We always have a jar of pesto ready for that emergency pasta dish and frozen veggies! Get the kids involved and make it an activity. Miss K loves cooking and will try to peel veggies, chops them and stirs things, as long as she can nibble on bits as she goes. Please share any other top tips you have. This is one of our quick, comforting, emergency pasta style meals. You know those days when the family is feeling a bit grumpy, you need to cook whilst amusing/holding/slinging a baby and have “mum I’m hungry” ringing in your ears… well this is what I tend to knock up for dinner. Cue the sound of silence…. save for chew and munch. Packed full of omega 3’s, heart healthy fat, protein, folate, iron and veggies this meal will fill those hungry tummies with yummy goodness. We aim to eat oily fish once a week, so I am always looking for new ways to incorporate it into our dinners. This one is a BIG HIT. Heat the oil in the saucepan, add the leek and cook until softened. Add 100ml milk along with the mixed herbs. Now add in the salmon fillets and mushrooms. Pop on a lid and let it poach on a low heat for 10 minutes or until the salmon breaks up and is cooked. Mix the flour with a little water and add to the pan, mix well and keep stirring the sauce whilst it thickens up. Now add the mustard, seasoning, lemon juice and spinach. 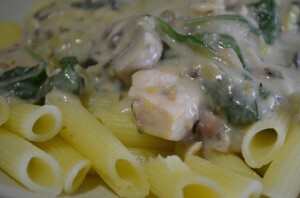 Cook for a few minutes and serve with pasta.